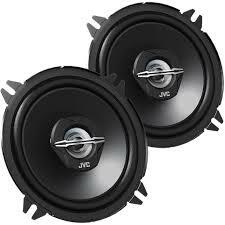 These speakers were not my 1st choice but due to inability to supply what I ordered the company suggested the JVC. The speakers are very good so a great replacement to factory originals. Well pleased. does your car have the speakers in the front lower section of the dashboard if they are they should be 5.25" coaxial speakers like the ones you are looking at. Please advise if these will fit into my car or are any adapters required for front dashboard. These will not fit your Suzuki Ignis. You need to look at 10cm speakers. Will these speakers fit in my Renault Twingo 2010? And are these front speakers or back ones? The CS-J520X can be installed in your Renault Twingo. You will need the below listed speaker adapters for installation. These can be used for front or rear. Will these fit in the front door of a Y reg fiesta , I think I need 5 " ones ? Yes these will fit, however you may need fitting brackets ct25fd01. Will these fit my 2002 fiesta zetec mk5? You need to look at 5x7 speakers or 17cm speakers. see the link below for all the speakers. If you go with 17cm speakers you will need the following speaker pods. hi there, for your ford ka you will need 6.5" speakers which are the size up from the CS-J520X 2-way coaxial speaker system, we have listed below the speaker adaptors you will need to fit speakers into your vehicle. The speakers size you need for your Vauxhall Corsa is 17cm. We have a wide range of speakers available see the link below. You will also require speakers pods which are listed below. 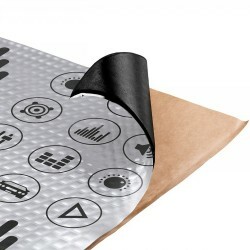 I would also suggest you add sound deadening material to your door to enhance the sound. which is also listed below. Hi, Could you advise if these speakers will fit the front doors, with no modification required, on my 2002 Clio 1.2 3 door.